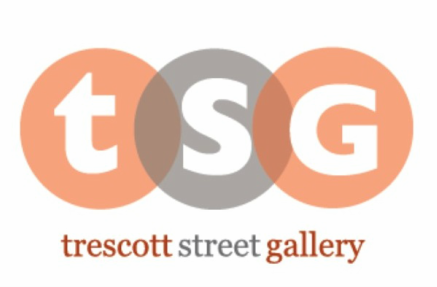 Artists are eligible to participate in Trescott Street Gallery's community art exhibits by becoming a member of the Gallery. ready-to-display artwork per exhibit in up to 5 exhibits per year. All art sales are subject to a 20% gallery commission. 1. Exhibits for artist members. Membership is $40 per year. With membership artists may show 1-3 works in up to five shows throughout the membership year. 2. Juried Shows which may have specific guidelines for submissions including an additional fee. These shows are juried by a panel of judges which means that your work may not be accepted. Juried shows also may have cash awards based on number of entries and sponsors. 3. Individual proposals for exhibitions are also reviewed by a gallery committee. We strive to adequately review each artist's work in a timely manner. Please keep in mind that we receive many submissions throughout the year and allow sufficient time as we look over your information. Following the guidelines below helps us to give your artwork the attention you desire. Do not send materials in the mail. All submissions are done through email with a specific title in the subject line pertaining to your interest. 1) Artwork must be original, completed in the last ten years. 2) Artwork must be exhibition-ready, with any required hardware, picture-hanging wire, pedestals and framing as appropriate. No saw-toothed hangers or clip frames will be accepted. 3) Trescott Gallery reserves the right not to accept any work that is not appropriately ready to display. 4) Paid submissions to Juried Calls do not guarantee that the work will be shown. The decision is up to the respective jurors. 5) Artists are responsible for delivery and pick-up of the work. 6) Artists who do not pick up their work by the scheduled deadline will be subject to a late pick up fee of $20. 7) Artists receive 80% of sales through the gallery. See general guidelines - All works should be labeled properly on the back of each piece. Name of The Show you are entering work in the subject line. If you do not have a website or images accessible online, please send small image files. Write a one page description of the show you would like to coordinate.